The Liberty 1-1/4 in. 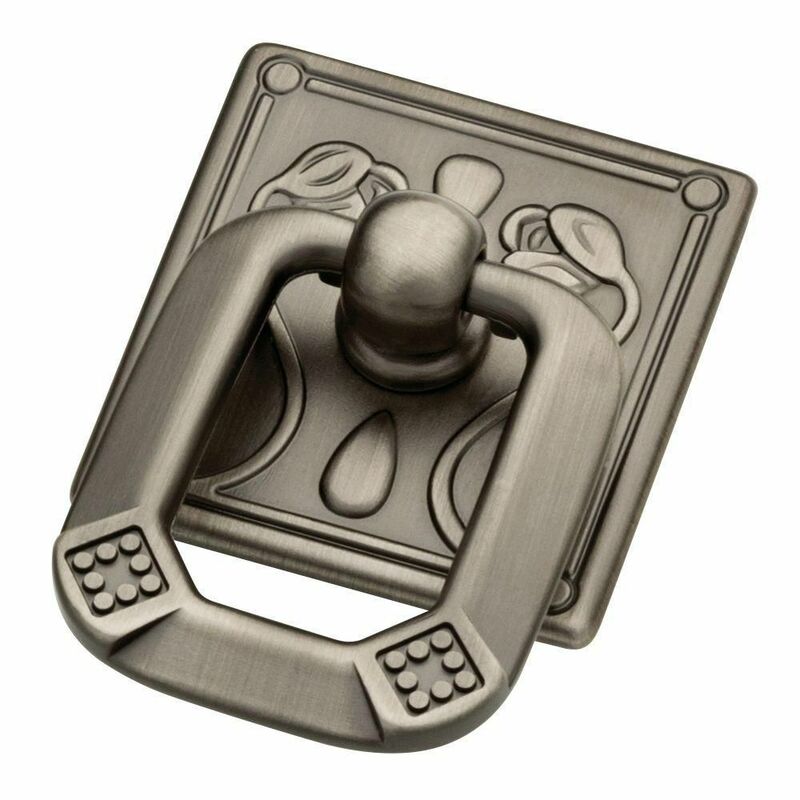 Heirloom Silver Vintage Ring Pull features an attractive finish. The ring pull can help accent the natural beauty of almost any cabinetry or piece of furniture. This ring pull is available for easy installation. The Liberty 3 in. Pewter Birdcage Wire Pull adds a touch of elegance to kitchen and bath cabinets. It features a 3 in. center-to-center, rear-mount design for easy installation. The metal base material is built for endurance and is coated in a vintage pewter finish. 1-1/4 Vintage Ring Pull, 1 per pkg The Liberty 1-1/4 in. Heirloom Silver Vintage Ring Pull features an attractive finish. The ring pull can help accent the natural beauty of almost any cabinetry or piece of furniture. This ring pull is available for easy installation. 1-1/4 Vintage Ring Pull, 1 per pkg is rated 4.7 out of 5 by 3. Rated 5 out of 5 by jbit56 from The pulls were the same as the store sample. The pulls are perfect for my bathroom vanity. Very nice accent! Rated 5 out of 5 by Cheks from I am so glad I found the product that I needed. It was so difficult to find the ring pull that I wanted but I found them online at Home Depot for a very reasonable price and shipping cost.